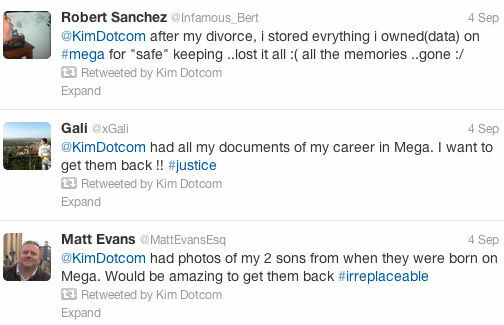 Months after the Megaupload raids and arrests the fate of the site's user data is still unclear. The final negotiation round between the involved parties just went bust with Megaupload's defense team holding the US Attorneys Office responsible. "They favor the Hollywood Oligopoly over innocent consumers who lost access to their data," Megaupload lawyer Ira Rothken told TorrentFreak. Almost nine months have passed since Megaupload’s servers were raided by the U.S. Government yet after all this time there is no agreement on how former users can retrieve their files. Meanwhile, Megaupload’s 1103 servers are gathering dust at Carpathia Hosting in the United States. Behind the scenes representatives for Megaupload have been negotiating with the Department of Justice and other parties to allow the site’s former users to temporarily gain access to their files, but thus far without result. After initial negotiations failed earlier this year, one of Megaupload’s users lost patience and decided to take action. Helped by the EFF, small business owner Kyle Goodwin filed a motion demanding that the court find a workable solution for the return of his data, and that of other former Megaupload users. However, Judge Liam O’Grady didn’t want to take a decision on the issue, and during a July hearing he ordered the various parties to start negotiating again. Fast forward another two months and these negotiations have failed once more. This means that Megaupload’s user data is still in limbo. Hoping to come to a solution, the EFF saw no other option than to go back to Judge O’Grady. “Negotiations went nowhere, which is why we went back to ask the judge again for the return of user data,” EFF attorney Julie Samuels told TorrentFreak. But O’Grady appears to be taking his time and weeks have now gone by without an update in the case. “We’re all waiting to hear from the judge. Until the court does something, our hands are unfortunately tied,” Samuels says. According to Megaupload’s defense team, U.S. authorities are ultimately to blame for depriving former Megaupload users from accessing their files. “By taking offline the entire Megaupload cloud storage site the US Attorneys Office has demonstrated that they favor the Hollywood Oligopoly over innocent consumers who lost access to their data,” Megaupload lawyer Ira Rothken told TorrentFreak. “We believe the Government’s aggressive conduct violates due process,” Rothken adds. Together with the EFF, Megaupload is now hoping that Judge O’Grady will come up with a quick and workable solution for the possible return of the user data. In addition, Megaupload is hoping that the Judge will dismiss the entire case against the cloud storage company. “We are looking forward to the US Federal Court ruling on the consumer data access issue and Megaupload’s motion to dismiss,” says Rothken. “The greater the delay the greater the injustice,” Megaupload’s lawyer adds. Carpathia Hosting did not respond to our inquiries, but there is little doubt that they are in favor of a quick solution. The company currently pays $9,000 a day out of their own pockets to keep the Megaupload servers intact. c There are 136 comments. Add yours?